Generations of skilled laborers have been the backbone of the construction industry, and no one will argue that time and circumstance have taken a toll on this invaluable pool of resources. Helping to solve this growing problem will take creativity and tenacity and a willingness to invest in new ideas. One approach to this solution was launched in 2009 in the Northside Independent School District in San Antonio, Texas. 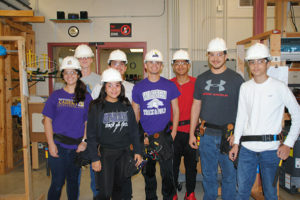 A comprehensive program called Construction Careers Academy (CCA), works in partnership with Warren High School and is located as a separate facility on the Warren campus. CCA prepares students for careers in the construction industry and is designed for students planning to attend a four-year university, a two-year associate degree program, or those wishing to enter the workforce upon high school graduation. Currently there are nearly 500 students that make up CCA, making it one of the nation’s largest construction programs at a secondary level. CCA offers an advanced and rigorous curriculum and practical training for students beginning in the 9th grade, in one of four core strands: Construction Management, Architectural Design, Applied Engineering, and Construction Technology. 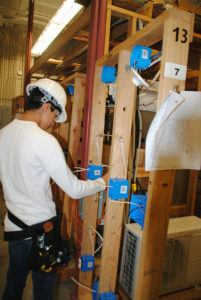 The Construction Technology strand offers training for students in these disciplines: Plumbing, Electrical, Welding, Pipe Fitting, and HVAC A/C & Heating. 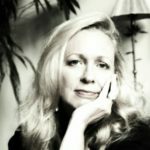 The CCA students are taught by instructors who have come from the workforce, some retired, others who own their own companies and make time to instruct in their field. Students work in classrooms and specially outfitted stations for hands-on learning. Many students are hired during the summers or off periods by local builders, contractors and architects that help further their experience. Admission to CCA is based on career interest, satisfactory attendance, conduct, standardized test scores and at least a C average in core subjects (English, math, science, and social studies) in middle school. Students meeting these criteria are admitted to a lottery pool. There are several forms of funding that have helped grow the CCA that include multiple grants and donations. CCA has attracted the attention of major corporate sponsors including Home Depot, Lowe’s and HEB. Materials and tools are donated by LP Building Products, Ferguson and Gibson Plumbing. 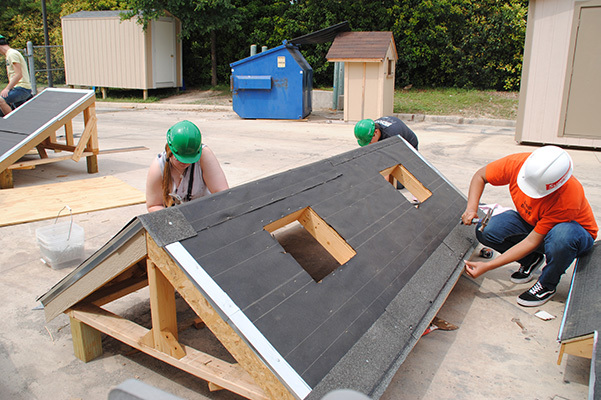 The Tiny House Showcase Build Competition is another method for raising funds, one that has become a hallmark event for the students and the program. Students comprised of engineers, architects, construction managers, plumbers, carpenters, HVAC and electricians will work together to build three tiny homes at 224 sq. ft. They will contribute to the competition based on skills learned in class. This is the fifth year for the competition with this year’s theme focusing on “modern country.” Students are challenged to work together to design, engineer and construct a fully functional tiny house with an indoor/outdoor living component. Students design the homes, rough in the plumbing, air conditioning/heating, solar power, electrical, framing and complete the finish out of each home. The competition provides real world experience as they apply what they are learning and demonstrate mastery of their skills. Each home is issued a Certificate of Completion by the City of San Antonio, with the students being responsible for making application. The highlight of Tiny House Showcase is a public event on a weekend, and then the homes are judged and auctioned off, with offers ranging in the $50,000 – $60,000 range. Tiny Home fans from all over the country visit the CCA throughout the year to preview the homes prior to auction. After graduating from the program, students who are not attending college go into the Job Placement Program where they are entered in the CCA Job Placement Databank. CCA graduates will be a step ahead of the competition and they are highly sought after by businesses of all sizes and disciplines. GHBA is reaching out to local school districts to explore technical training in the residential construction trades. Currently the leadership from the New Caney Independent School District has made two trips to Warren High School to learn from the leadership at CCA. They are extremely interested in partnering with local builders to begin their own program. We are also in the process of reaching out to other ISDs in the Houston area. “It’s impossible not to get excited after a visit to Warren’s CCA campus. We are eager to bring together school districts and builders to partner these programs locally,” said Don Klein, president of GHBA and Chesmar Homes. The GHBA is currently partnering with the Home Building Institute (HBI) whose mission is training young people in the construction trades. HBI is opening a training facility in Houston in June and will focus on carpentry and framing. The HBI will get students in the 18-24 year old range from the Texas Workforce Commission. The course will run from six to eight weeks and graduates will be able to hire onto a framing crew. The HBI training center is a two-year commitment from HBI and is staffed with a full time supervisor and a full time trainer. “We are very hopeful these two areas of focus will be long term and bring many new people into our business,” Don concluded.